The higher authorities of River Navigation Department of Goa had released the RND Goa Recruitment 2018 Notification For 23 Sailors Vacancies. So all the interested candidates can apply from 21st August 2018 to 10th September 2018 for sailors Post. Candidates may be searching various websites on the internet to gather the information on River Navigation Department of Goa Advertisement 2018. For that reason, in the upcoming parts, we had furnished the complete details about the rnd.goa.gov.in Jobs 2018. And also jobseekers can grab the information about the नदीचे नेव्हीगेशन विभाग Openings 2018 such as educational qualification, age limit, selection process, salary, application fee, important dates, and process to apply from this page. For more details on RND Goa Recruitment 2018, candidates need to check this entire article. RND Goa Recruitment 2018 Notification is uploaded on this page. Candidates who are very much interested in working with the Goa government, they can apply on or before 10th September 2018. A considerable number of aspirants are surfing multiple websites on the internet to get the info on RND Goa Recruitment 2018, but they are unable to find exact information. To help those applicants, we had provided the full details about the RND Goa Recruitment 2018. In the below table, we had presented the data such as Organization name, Starting Date, Ending Date, and Exam Date. And also about the Job category, application Mode, Selection Process, and Official website. 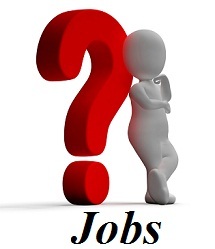 If contenders have any doubts, they can visit our site that is Sarkari Recruitment. In this part, we had mentioned the details of post names, and number of vacancies for rnd.goa.gov.in Jobs 2018. Check the official notification to get more details on RND Goa Recruitment 2018. Satisfying the given Educational Qualification For River Navigation Department of Goa Notification 2018 which helps the candidates to apply for the RND Goa Recruitment 2018. Maritime School New Entrants Course in either Deck or Engine Department. 6 months experience as Sailor on board on the inland vessel. Applicants have to satisfy the Age Limit For नदीचे नेव्हीगेशन विभाग Openings 2018. For more details about the Age relaxation, contestants can check over the official notification of the RND Goa Recruitment 2018. All the candidates who had applied for the RND Goa Recruitment 2018, they need to attend the selection process which was given the higher authorities of River Navigation Department. For more updates visit the official site. Candidates who had qualified in the written exam, they will provide you the payroll as per the norms of the organization. For more updates about RND Goa Recruitment 2018, visit the official site of River Navigation Department. Please Refer Official Notification for Fee Details. First Of All, postulants have to visit the official website of River Navigation Department (RND Goa) that is rnd.goa.gov.in. Go to the News sections which is at down left of the homepage. In that search for the flashing link of RND Goa Recruitment 2018. Read every detail which was given in the RND Goa Recruitment 2018 Notification. If you are eligible, then take a xerox copy of application form in the given proforma. Fill the application form with genuine information. We hope that candidates had utilized the given information regarding the RND Goa Recruitment 2018. For any other information, postulants can feel free to visit our Sarkarirecruitment.com website.